Utah Valley’s opening weekend road trip to Kentucky and Duke — dubbed the “toughest 24 hours in college basketball” — started out with a bang for Mark Pope’s upstart program: The Wolverines stormed out to a nine-point halftime lead in Rupp Arena, led by as many 12, and stayed within single digits for much of the second half. Big Blue eventually came back and won, of course, but not before a speechless crowd — and a stunned coach — took notice: “This team, Utah Valley, they’re going to win their share of games now. 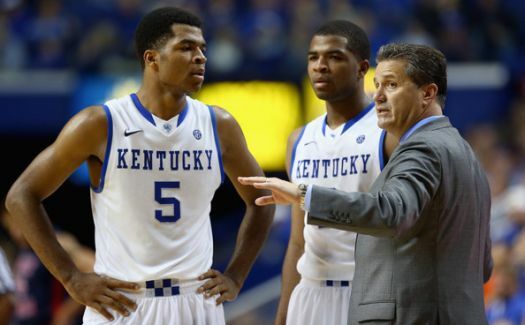 They’re big… they have got a couple guys that are out that can shoot… they’re legit,” John Calipari said afterward. And he’s absolutely right. Existing on the fringe of the national discussion, Utah Valley is perhaps the perfect embodiment of the WAC’s collection of top contenders this season: a nascent program fortified with impact transfers that’s built to surprise in non-conference play. Believe it or not, the Wolverines were not picked to win (or even finish second) in the league this year. That distinction belongs to none other than Grand Canyon, which is off to a 3-0 start in its first season of NCAA Tournament eligibility. 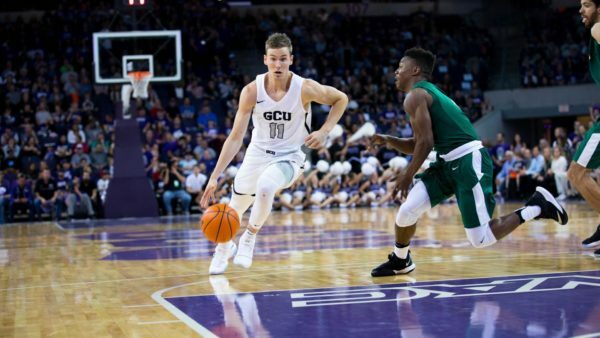 After winning a combined 49 games since 2015-16, the Lopes return Preseason WAC Player of the Year Joshua Braun and several other key contributors from last season’s unit. As if that were not enough, head coach Dan Majerle (with an assist from a certain member of the coaching staff) lured Oregon graduate transfer Casey Benson, a veteran point guard who logged 21 minutes in the Ducks’ Final Four loss to North Carolina last March. Through three games, Braun (20.0 PPG) and Benson (10.0 PPG) have been awesome, and Grand Canyon — a for-profit university with an impossibly raucous home crowd — looks every bit the favorite pundits thought it would be. Even if the Lopes don’t upend St. John’s in their semi-home tilt on December 5, don’t be surprised if Majerle’s group gives Illinois loads of trouble just before the New Year. The elephant in the room with respect to Louisville’s 11-1 start is the uncharacteristically weak competition it faced to compile its gaudy record. None of the Cardinals’ wins have come against a team rated higher than #131, according to KenPom, and that team was Grand Canyon. To their credit, Dan Majerle’s charges own a win over San Diego State, but nevertheless, the softness of this team’s schedule has left many wondering just how good this team is as it heads into its annual tussle with archrival Kentucky. Statistically speaking, the Cardinals have been terrific. Employing its typically stingy defense, Louisville ranks third overall in defensive efficiency (89.9 points per 100 possessions) and fourth in defensive effective field goal percentage (40.4%). 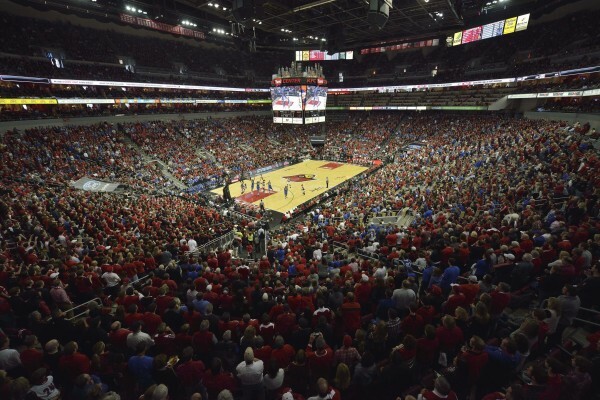 Sparked by graduate transfers Damion Lee and Trey Lewis, the Cards have also outperformed expectations offensively, ranking 20th in efficiency (113.4 points per 100 possessions), led by Lee’s 13th-best national offensive rating (137.3). Shooting a blistering 57.5 percent from inside the arc, the Cards have also proven to be remarkably adept when they misfire, rebounding greater than 44.3 percent of their misses, good for second nationally. Impressive as all that sounds, it isn’t unreasonable to scoff at the numbers when considering Louisville’s level of competition, ranked as the 332nd toughest schedule to this point. The Cards’ lone loss may have been the most instructive data point, in a good way, as the Cardinals led top-ranked Michigan State for the majority of their game in East Lansing only to fall victim to the expert playmaking of Denzel Valentine down the stretch. Perhaps the most positively illuminating development was the play of Lee, who was the best player on the floor for much of the night, proving to any doubters that his game would translate to the high-major level. The news that Royce Woolridge had decided to spend his final year of eligibility at Grand Canyon University may be a bigger deal than you think. The Phoenix-area native is returning home to play for Dan Majerle at the first for-profit university to call Division I home. Yes, Thunder Dan Majerle. In its inaugural Division I season in the reconfigured WAC, the former Phoenix Suns star and assistant coach guided the Antelopes to a surprising 15-15 (10-6 WAC) record, good for third in the conference (after being picked to finish last in the preseason). The Antelopes will lose four rotation players to graduation, including their top two scorers, but adding Woolridge is another small step forward for what one day turn out to be a major story in college basketball. 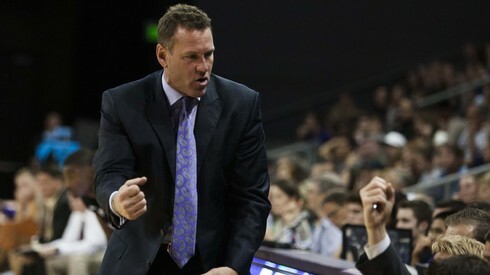 Dan Majerle is trying to build a winner at for-profit Grand Canyon (azcentral.com). The former Washington State and Kansas guard is a high major player (7.4 PPG, 2.3 APG), and an even more important get for Majerle because he was a two-time high school All-Arizona selection at Phoenix Sunnyslope. The Antelopes’ top returning player, Jerome Garrison (37.8 MPG, 16.5 PPG, 20.5 PER), was also a Phoenix prep standout. Having these two local products to generate good will with area high school coaches and players could be a boon for future recruiting. It’s not as if Majerle lacks for local notoriety; current high schoolers may not remember NBA Jam or Thunder Dan’s playing days, but his list of All-Star appearances and NBA coaching chops should be attention-grabbers. Still, when Garrison was initially recruited by Grand Canyon, he’d never heard of the school that is located in his own backyard. “Nobody knew about Grand Canyon,” Garrison told USA Today. “Nobody knew anything going on at Grand Canyon. All you heard about was [Arizona State] and [Arizona] here.” Having players like he and Woolridge in the fold could allow Majerle to capitalize on what he already brings to the table. Who Won the Week? is a regular column that will outline and discuss three winners and losers from the previous week. The author of this column is Kenny Ocker (@KennyOcker), a Spokane-based sportswriter best known for his willingness to drive (or bike!) anywhere to watch a basketball game. But he’s not biking anywhere with a sub-zero wind chill. After an unforeseen circumstance, some traveling and Christmas, welcome back to Who Won The Week? Let’s get down to business. The nation’s top team on the offensive glass and at getting to the free throw line managed to net a home win over its in-state rival and defending national champion in their only game in two weeks. Not bad, right? Doing it without the services of super-freshman Julius Randle in the second half as he was sidelined by cramps makes it even more impressive. In his stead, fellow freshmen Andrew and Aaron Harrison and James Young combined for 46 points – after Randle had scored 17 points in the first half – as the Wildcats pulled off a 73-66 win in Lexington and picked up its first marquee non-conference win in the process. After missing out on neutral-court shots versus Michigan State and Baylor, notching a win against the top team in Ken Pomeroy’s rankings is a nice way to salvage a good non-conference schedule. OK, so Russ Smith did this, to Julius Randle, no less.